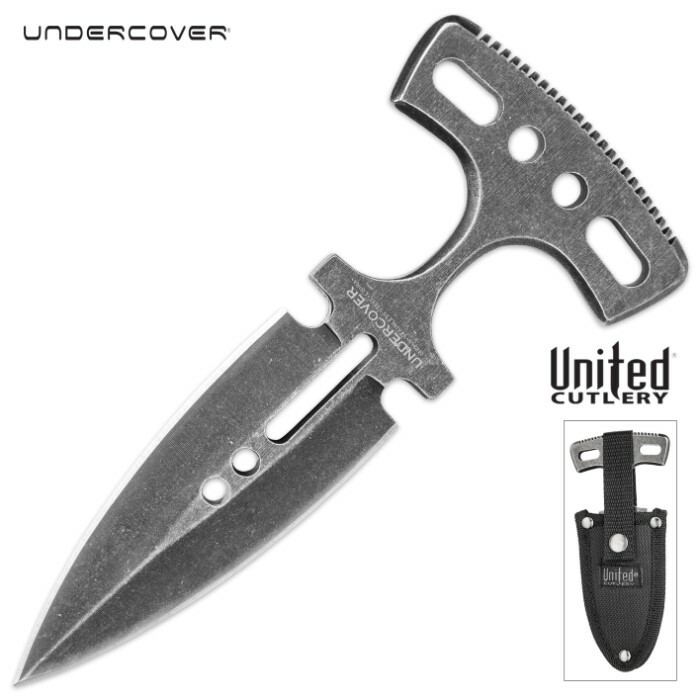 Undercover Stonewashed Magnum Push Dagger - One-Piece Stainless Steel Construction, Double-Edged Blade, No-Slip Grip | BUDK.com - Knives & Swords At The Lowest Prices! Offering a compact size and discreet carry options, the Undercover Stonewashed Magnum Push Dagger is easy to conceal and offers powerful personal protection that won’t let you down! 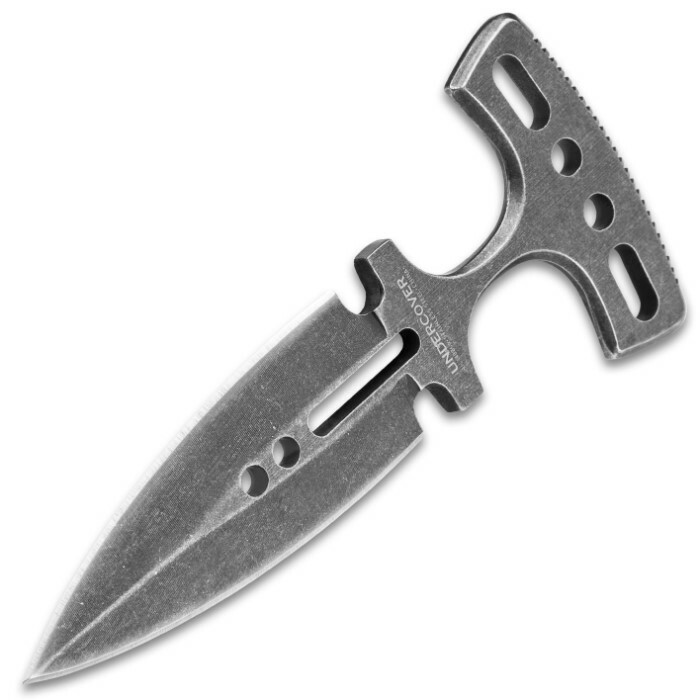 The push dagger has a solid, one-piece stainless steel construction with a stonewashed finish. 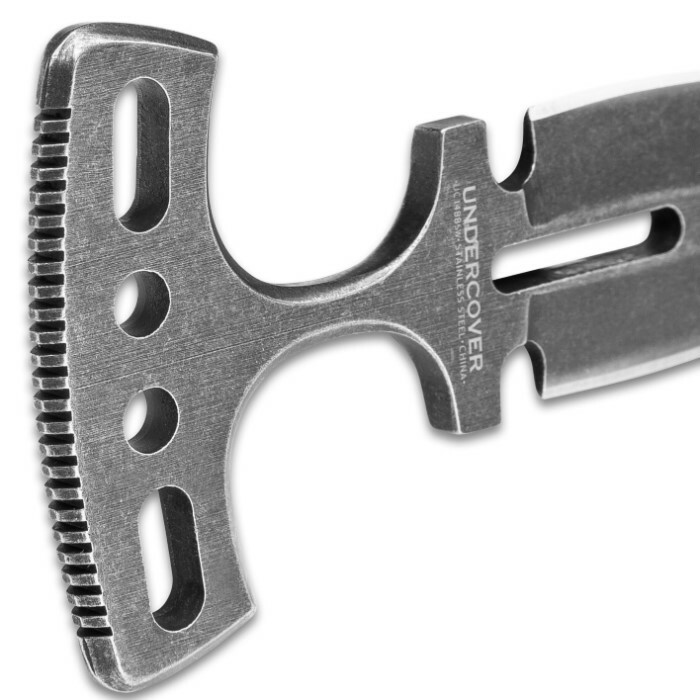 It has a 3 1/4” double-edged, razor-sharp blade with through holes to reduce weight and the handle has a ridged, no-slip grip. The push dagger has an overall length of 5 3/5” and a 4.83 mm thickness and a sturdy nylon belt sheath is included for ease of carry.